Your internet connection may be the most important convenience item you have in your home. Routers are your link between the internet connection and the devices that use it, and having a good router means your phones, laptops, tablets and smart appliances will communicate quickly like you need them to. A good router is key to the speed your data transfers, and with so many available options, finding the right one for you can be a complicated affair! We have done the work for you and put together this guide to help you decide. Wired Routers: These routers have ports which allow you to connect to the internet via a cable. Cable data speeds are generally faster than those sent over Wi-Fi, so these are great for home or office networks where you have one or more computers you wish to connect for fast data transfers. 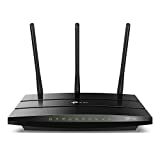 2.4 GHZ Wireless Frequency Routers: Routers using this frequency sustain better distances and offer a stronger signal further away from the router. 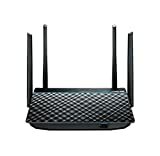 5 GHz Wireless Frequency Routers: Routers using this frequency, are ideal for people who will do a lot of gaming and downloading. This frequency is less crowded as less appliances run on on this frequency, which means much faster speeds. Modem Router Combination Routers: This handy combination makes setup much easier. Having two devices in one not only saves you a lot of space but means your modem and your router will work seamlessly together. Performance: A high performing router is a valued router! Depending on the speeds you need, or the size of the area that your router needs to cover, this will determine the right router for you. Choose a wired router if you need only a few fast connections to a laptop or desktop. Setup: Setting up your router should be as easy as 1, 2, click! People value their hassle-free routers that have simple instructions for easy setup much more than those that don’t. User interface: Make your home network user friendly by looking for a router that has helpful icons, clear labels and intuitive menus. Customer support: Customers are more satisfied with router brands that offer good customer service. Routers can be technical, and choosing a quality router will offer better warranties and technical support should you need assistance. If you are looking for a connection with a single desktop and need a fast secure line, then going with a wired router will be the perfect solution for you. Wired routers have limited interference, higher security, and are simple to set up. If you need to connect multiple PCs, a tablet, a smartphone, or even a smart appliance or thermostat, then wireless routers offer a lot more convenience. When deciding on a router, think about where in the house you need internet connectivity. 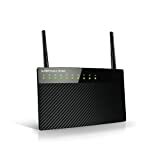 If you want the freedom to access the web from multiple rooms, then a wireless router is the best choice for you. Your new wireless router should support the newest 802.11ac version of Wi-Fi connections so that you can enjoy faster browsing speeds from your devices. This connection is the latest technology and will ensure that your home network remains up to date and efficient well into the future. The latest wireless router models can have speeds up to 900 Mbps (megabytes per second). Higher speed means your devices perform better around the house. Wireless routers with more than one antenna have a much greater range than routers with just one. For better connectivity, opt for Wi-Fi routers with multiple or external antennas. Signals can sometimes get lost through walls, doors or furniture. To avoid signal loss with Wi-Fi routers, place your router in an open area near where you plan to use the internet the most. To boost your Wi-Fi router strength and improve speeds even further, a Wi-Fi booster can be added to your network in bigger homes. For maximum security, make sure your new router supports at least WPA2 encryption. This is the second implementation of the Wi-Fi protected access protocol and will make surfing the web much safer. Warranties for routers vary in length, but higher quality routers generally offer longer warranties and better return policies. Routers are normally put in a visible place for best signal and strength, so it is beneficial to consider a style and shape that fits your home. Having a combination modem router is also a good way to reduce clutter and simplify your space. If you have children and need added security, routers with added parental controls will give you much more peace of mind. NETGEAR: Founded in 1996 and headquartered in San Jose, California, NETGEAR primarily designs and manufacturers computer networking equipment. Linksys: Linksys, owned by parent company Belkin, sells networking hardware products to homes and small businesses. They are located in Irvine, California. ASUS: Taiwanese manufacturer ASUS draws their name from Pegasus, the winged horse of Greek mythology. In 2013, they were the world’s fifth largest PC and networking equipment vendor by unit sales. TRENDnet: TRENDnet has been manufacturing networking hardware since their founding in Torrance, California in 1990.